The land of Hyrule is once again in a state of unrest. Skull Kid has stolen the all-powerful Majora's Mask, Link's faithful steed Epona, and the musically enchanted Ocarina of Time. Adding insult to injury, the miscreant transformed our hero into a lowly Deku Scrub upon entering a portal to another dimension. Trapped in a parallel universe, Link must overcome his condition to find and stop Skull Kid before the world is thrown into complete chaos. And he has 72 hours to do it. 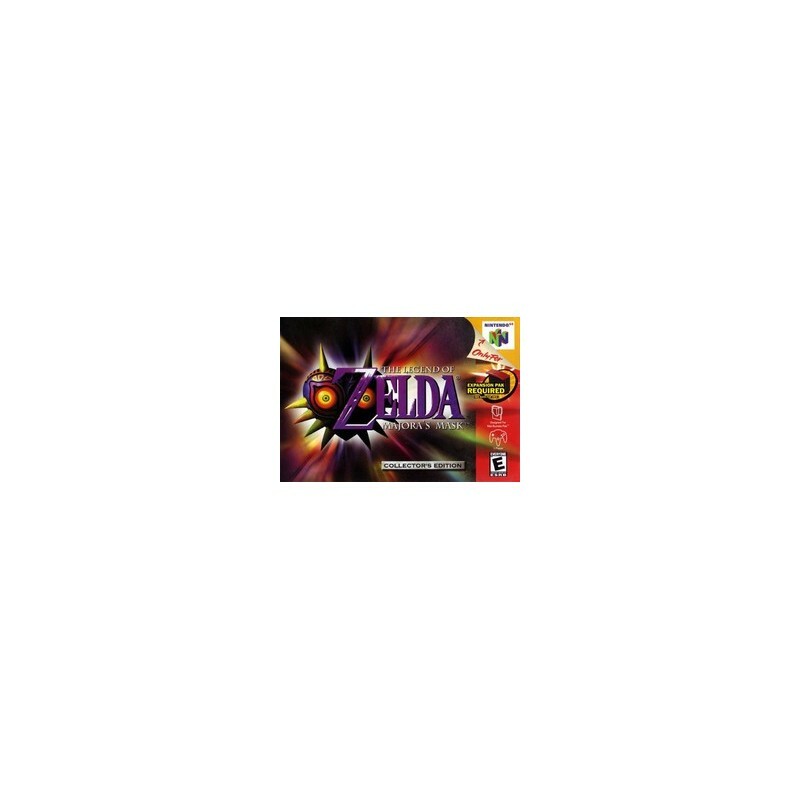 The Legend of Zelda: Majora's Mask is the sequel to one of the most critically acclaimed games released on the 64-bit platform. 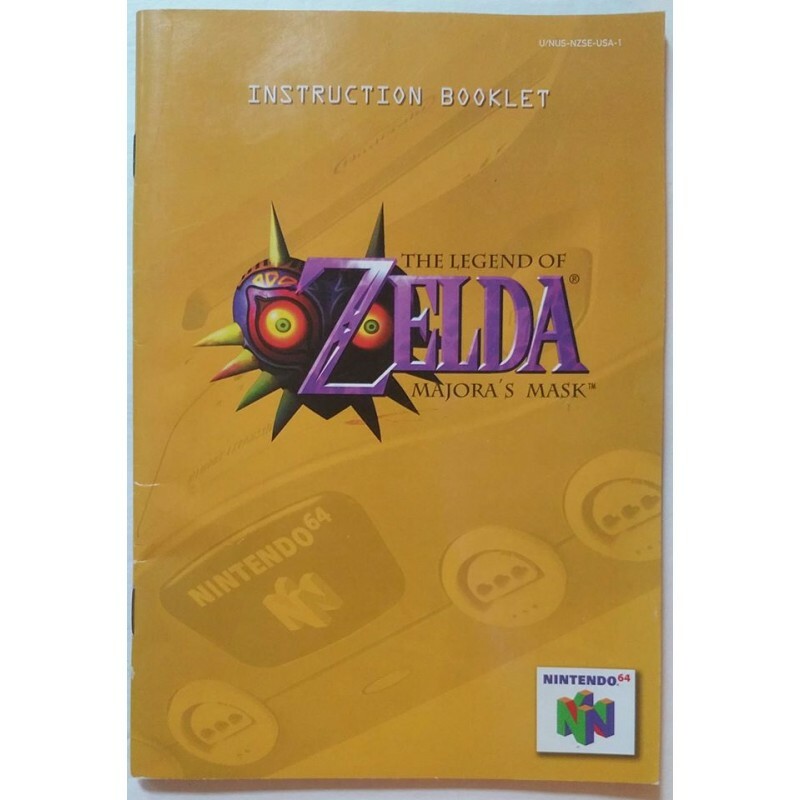 Using an enhanced version of the 3D engine found in 1998's Ocarina of Time, Majora's Mask offers an identical control system with a completely new storyline. The player as Link must complete the game within three days to triumph over evil. During this period, which roughly translates into 72 minutes of real time, you must journey through dungeons and rescue as many people as possible. Interestingly enough, the hero cannot and will not succeed on his first attempt. Majora's Mask allows the player to experience the same three days over and over again in order to learn more about the parallel world in which Link is trapped. Since the denizens all adhere to distinct daily schedules, you will need to revisit areas at various times to find and meet all of the characters in the game. Rescuing certain characters earns you items needed to complete your quest, some of which will become a permanent part of your inventory when you start anew. Since one of your first tasks is to recover the stolen ocarina, you'll be able to return to day one of your adventure by playing the fabled "Song of Time." Any wealth acquired during your quest can also be saved at the town bank so you don't have to start each new day penniless. Those familiar with Ocarina of Time will remember the masks that Link could wear and sell for profit. As evidenced by the title, masks also play an important role in this game, as they grant Link new powers. Our hero's initial curse finds him with the abilities of a Deku Scrub, a plant-like creature that can spit out nuts, perform spin attacks, and even fly to a certain extent, using its petals like a helicopter. Once you succeed in reverting back to your original form, the Deku Mask lets you take advantage of the creature's powers to access otherwise unattainable areas. 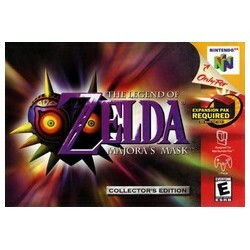 Other masks include those of Goron and Zora, two races prominently featured in Ocarina of Time. The Goron mask gives Link the abilities of the rock-like Goron people, providing him with superhuman strength and speed (rocks can roll, after all), while the Zora mask imbues Link with the power to propel himself underwater like a dolphin. 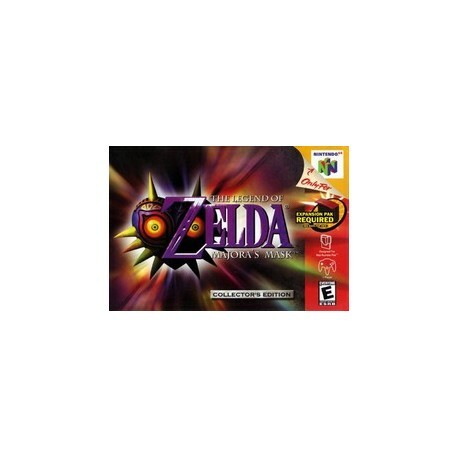 The Legend of Zelda: Majora's Mask is the second game on the system to require the 4MB Expansion Pak accessory to play.